Gastric problem home remedies: In fact production of the gas is considered as the natural part of the digestive process. Most of the people trepidation passing gas in front of other. In a modern world, most of the people struggle with gastric problems. In case you have excess gas in your stomach then you might be suffered a lot. There are more numbers of the causes are there for gastric problems. Such as eating spicy food, too much of stress, not chewing food thoroughly. Digestive disorders or certain kinds of the bacterial infection. People associated with the gastric problems may suffer from the wide range of problems. Such as bad breath, flatulence, abdominal bloating, stomach pain, a coating on tongue and belching. In case you have suffered from this kind of the problems then you no need to worry about. Because you can easily treat with some natural and simple home remedies. 1 Air In-take In taking an excess of air while eating, drinking, chewing, feeling nervous may affect the digestive track. 2 Improper Health Condition Gastric problem may occur due to other chronic diseases too; proper diagnosis should be made. 3 Food Intolerances It’s the common reason behind the formation of gastric problem. A Proper diet should be maintained; improper foods may lead to diarrhoea and weight loss. 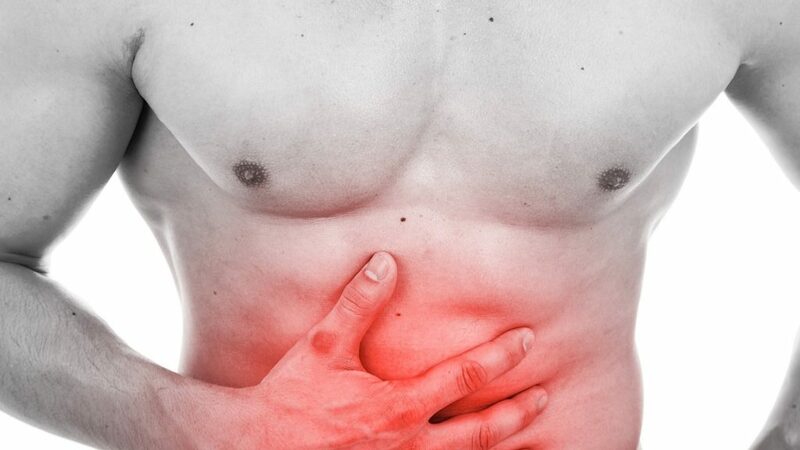 2 Pains in Abdomen Gastric person may feel sharp pain, cram or jabbing pains in abdomen. More importantly, pain often gets shifts quickly to other location and also gets better quickly too. 3 Knotted Feel in Abdomen It’s a feeling where a person feels an excess of tension in their stomach. 4 Abdomen Swelling or abdomen Tightness It commonly refers to the abdominal bloating and looks enlarged in physical. In case you are suffered from gastric problems then you can follow some natural remedies. Which are sufficient to fix your problems. In fact, cinnamon is best and effective home remedy to fix your gastric problem, and it will appease your stomach. At the same time, it will prevent the further formation of the gas. If you add one and a half teaspoon of cinnamon powder with one cup of warm milk, then you can easily get the home remedies. People can also add some honey so that you can acquire the excellent solution to fix the gastric problems. People can take the equal parts of the ground fennel, cardamom, and ginger and mix it thoroughly. Try to add one teaspoon of this mixture to one cup of water and pinch of asafetida. If you drink this mixture once or twice in a day, then you may not suffer from gas problems. In case you look to prevent from the gas forming then you can chew the regularly new piece of ginger after meals. If possible people can also add small amounts of the fresh or dried ginger. Another option to add the few drop of ginger essential oil to all kinds of the base oil and rub it on your stomach. Alternatively, you can drink little ginger juice which is mixed with the pinch of asafetida. In fact, garlic has potent healing quality. It has the capability to stimulate the gastric fire so that people can find natural relief from stomach gas. Garlic is mostly used for proper digestion, and people can also try the garlic soup which can reduce the gas. In case you are looking to acquire the best results then you can use the fresh garlic. People can also boil certain ground garlic in water with few minutes and add a few the cumin seeds and black pepper to this water. After that strain it and allows it cool to the room temperature. If you drink two to three times, then you can see the drastic results. Buttermilk is mostly combined with the black salts and carom seeds because it acts as the extraordinary Ayurvedic remedy and it can also provide some instant results. In case you do not have carom seeds then you can utilize the celery seeds. One of the common natural remedies to treat the gastric problems was using baking soda. Baking soda and lemon because it can provide the effective antacid. First and foremost you must put the one lemon in the glass and add baking soda to fruit. In case you are looking for the instant results then you may add a certain amount of baking soda to one glass of water. You can drink this mixture in the empty stomach. Black pepper is providing amazing flavor when you add it to the meals and curries. In case you are looking to avoid chilies then black pepper is the best and healthier option. People can also acquire black pepper seeds in the market so you may crush and add it to your meal. In case you are facing gastric related problems then you may suffer a lack of hydrochloric acid in your stomach. It is recommended to consume the black pepper because it may initiate the digestion activity and maximize the gastric juices flow. According to the studies, fennel is the excellent remedy to cure the flatulence, and it can only provide the instant result. If you are a pregnant woman, then you must consult with your health professional before you start to consume the fennel. In fact, black seeds and caraway seeds are playing a most important role in treating indigestion, bloating, stomach gas and cramping. If you add either black seeds or caraway seeds to one cup of boiling water, then you can acquire the excellent remedy. Once you prepare the water, then strain the seeds so that you can easily get rid of from gas related problems. There are three common ways are there to use the peppermint in the efficient ways, and it is the best flatulence remedy. In a first method, you can add some fresh leaves to the cup of boiling water and people can drink this water two or three times. People can also add the two drops of the peppermint oil in half cup of cool water. People can also use the peppermint capsules so that you can acquire the wide range of benefits. In fact, cardamom is the great kitchen space so that people may use it either cooking or chew on pods which are used to relieve from gas problems and to bloat. Sometimes people might also add cardamom to ginger tea so that you may acquire the more numbers of benefits and relief. Cloves are having more numbers of the medicinal properties, and it may also have the ability to reduce the gastric problems. You may consume the pieces of cloves, or else you will utilize the clove oil which is most helpful to minimize the gastric problem. Hot water is one of the best ways to treat the stomach related problems and indigestion. In case you consume heavy meal then it is suggested to drink one glass of warm water because it can absorb excess fat cell. If you consume hot water then surely you may free from discomfort when you consume the unlimited food with high cholesterol and species. Guava leaf is the natural ingredient which might be mostly utilized to treat the gastric problems. When you have a stomach related problem, then you must avoid all types of medicine which are available in the pharmaceutical store. People can eat raw guava leaves or boil the leaves in the water so you no need to worry about the stomach related problems. In case you have a problem with nausea or vomiting problems then you may eat guava leaves. Foods play an important role when it comes to gastric problems; good food control is essential for diabetic patients. At the same time, people may misjudge the gastric problems as Heart Disease, Appendicitis and Gallstones correct diagnosis through well-trained physician is necessary to treat the problem. In general in taking high fiber foods will help to overcome the problem caused due to gastric issues. Foods like Fruits, green vegetables, all types of grains, legumes and so has the high amount of fiber in taking such foods along with your regular diet especially in your dinner will provide better results.